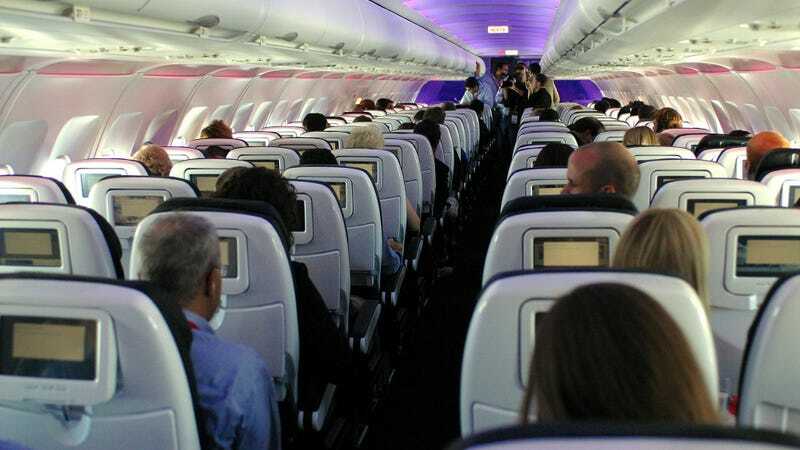 The advent of those little TVs embedded into the back of airplane seats has been a rare act of benevolence by otherwise diabolical commercial airlines, allowing passengers to at least pick which movie or TV show they want playing six inches from their noses while crammed into a pressurized metal tube hurtling through the atmosphere. Australian airline Qantas is one of those airlines, and in a blog post published yesterday, the company unveiled its list of the top 10 films enjoyed/wept through (altitude does weird things to the emotions) by its passengers in 2017. Surprisingly, the top film was not one of the year’s mega-tentpole blockbusters, but Dreamworks’ successful (enough for a sequel, at least) The Boss Baby, a status presumably attributable to parents hoping the labyrinthine mythology behind Alec Baldwin’s business suit-clad infant would distract their offspring long enough to avoid a public incident. The rest of the list seems more geared towards adults, although it’s not our place to tell parents if watching Logan is appropriate for their child, let alone on a plane. Anyhow, the top 10 list is below. The most-watched TV show? Game Of Thrones, obviously. Everyone loves Game Of Thrones. CORRECTION: An earlier version of this article misspelled the name of the airline. It’s “Qantas,” not “Quantas.” We regret the error.